Marco’s ‘Mommy’ celebrates her birthday with some great friends and food at Chez Marco. 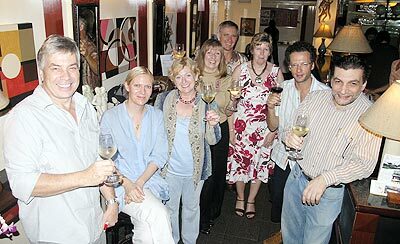 Members of the 100 club, shown at their August meeting at the Darling Wine Bar. 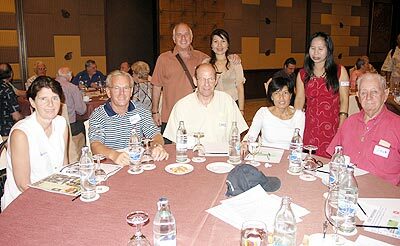 The regular Expats’ Club meeting at the Shangri La Hotel included Barry, Aor and Nee (standing) with Veronica, Andy, Chris, Ann and Jack (seated). Pictured is the winner of August’s round of the JJ Talent competition, Satjawat Duangmuang. 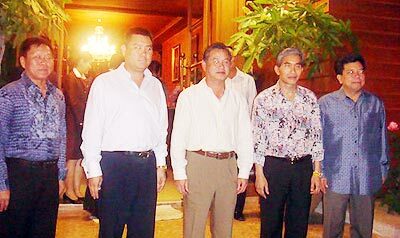 Friday September 12 will be for ‘farang’ performers - any would-be competitors should contact 083 208 3693 or 053 231 520. 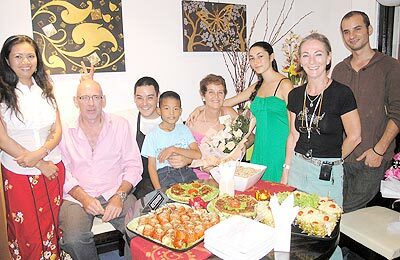 A farewell dinner was held at Le Crystal Restaurant earlier this month by Pol. Gen. Viroj Phaholvech (Deputy Commissioner General Royal Thai Police) in honour of Tan Sri Dato ‘Seri bin Dato’ Hj Hassan (Inspector General of Royal Malaysian Police). 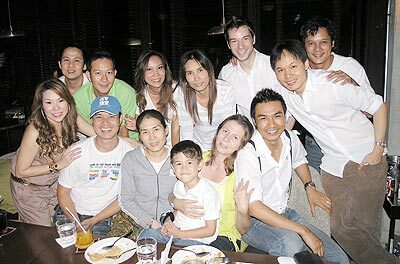 Ong from Absolute Hair Design (3rd right) chose The Maze for his birthday celebrations. 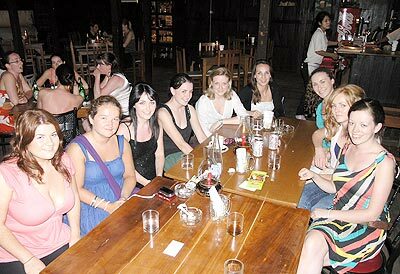 Claire, Marese, Orla, Niamh, Anne, Nollaig, Katie, Laura and Marie (l/r) enjoying a drink while listening to some great music at the Riverside Restaurant.